Do you need help moving your stuff from your home, apartment, or office but you don't know which company to hire? Choosing a trustworthy and affordable moving company can save you the hassle of the heavy lifting when relocating your precious belongings. Here at Local Moving LLC, you'll get exactly a reliable and on-schedule moving service at a fair price. Local Moving is a company with many years of expertise. We are based in Denver, but serve the surrounding areas--especially Lakewood, and we provide the fastest response time and most competitive prices in Colorado. You can rest assured our team of experts will work towards delivering the best local and long-distance residential or commercial moving service. Our mission is to take care of packing, transport, delivery, and set-up of your valuable assets. Packing can be a long process but with us, you need not worry about the time wasted on wrapping up every single item you have. We take care of your possessions as if they are our own. After our trained specialists carefully pack your belongings, they deliver them in the safest conditions to your new address. Many professional movers will leave the rest to you at this step, but not us. We will set-up and assemble your furniture and re-install the equipment or fixtures you chose to relocate. Local Moving LLC offers the best rates for its customers. Once you give us the basic information about your belongings, current location, and destination, we can calculate how much space needed in our moving trucks. Then, we can offer you a quick quote and an advice on the number of people and the moving truck you need. Our company's employees are available not only on your moving day but can help you in the packing process or assist you in choosing the packing materials. Our job is to offer you the single most reliable service and make your moving day a pleasant experience. We understand every customer has unique needs, and we take the time to realize what they need. 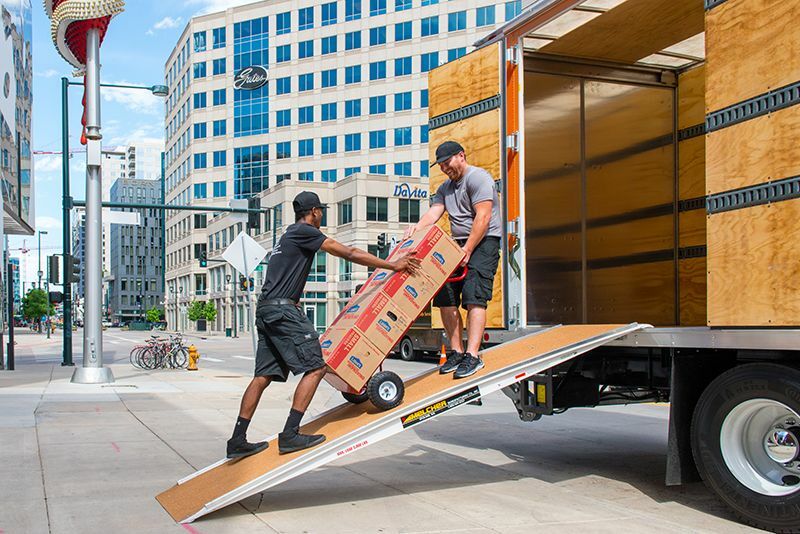 With us, you get recommendations tailored to your preferences and a quote that surpasses the worth of any other moving service throughout the Denver Metro area. Reliable Moving is here to cautiously pack, transport, deliver and unpack your belongings. With us, you don't have to worry about the mess that stays behind unpacking. We will remove any excess packing material and set-up or re-install your furniture and equipment, so you don't have to! Be sure to give us a call and experience the joy of moving with the finest moving service in the country.